Researchers from the University of Notre Dame and the Indiana University School of Medicine have revealed a putative role for the circadian clock in the liver in the development of alcohol-induced hepatic steatosis, or fatty liver disease. Hepatic steatosis is the abnormal accumulation of fats in the cells of the liver, and is linked to disturbed control of fat metabolism. Alcohol-induced liver steatosis is produced by excessive alcohol consumption and is linked to hepatitis, or inflammation of the liver. It can be a precursor to an even more serious illness, liver cirrhosis, which includes scarring of the liver. Ten percent to 35 percent of chronic heavy drinkers develop alcoholic hepatitis, and it is the main cause of liver disease in Western countries. The team, led by associate professors Giles Duffield, from Notre Dame’s Department of Biological Sciences and Eck Institute for Global Health, and Suthat Liangpunsakul from the Indiana University School of Medicine’s Department of Medicine, Division of Gastroenterology and Hepatology, is interested in the molecular genetic basis for the molecular clock and liver steatosis. The study, using molecular biological approaches and long-term alcohol feeding of experimental mice, reveals that the development of liver steatosis produced by alcohol abuse is intertwined with disturbances of the normal operation of the 24-hour clock system located in the cells of the liver. Importantly, this change in the liver clock seems to occur independently from the master clock system located in the brain. The circadian clock regulates 24-hour rhythms in biochemistry, physiology and behavior, and its normal operation and appropriate synchronization to the external world, especially the alternating cycle of day and night, is critical to maintaining a normal healthy state. Disturbances of the clock have been linked to mental health disorders, to metabolic disease including obesity and diabetes, and to the development of cancer. 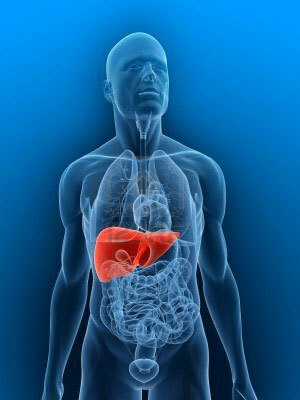 The liver plays many roles in the body, and includes control of metabolism, storage and release of energy molecules, and detoxification. The study suggests that either the circadian clock is important in the actual development of the liver disease or that the development of steatosis disrupts the normal pattern of the clock mechanism. The researchers’ findings also offer novel insights into how the disease might be manipulated for clinical purposes. Interestingly, the mechanism by which chronic alcohol intake is thought to alter the control of fat metabolism in the liver is also a shared signal to the circadian clock mechanism, this being the ratio of production of reduced nicotinamide adenine dinucleotide, or NADH, to NAD+. The authors suggest that this may be a key to the shared disturbance to the two biological mechanisms of lipid metabolism and the circadian clock. The study, Zhou et al., was published this week in the journal Nature: Scientific Reports. The work was a collaborative effort between the Duffield and Liangpunsakul laboratories, involving lead author and doctoral candidate Peng Zhou, undergraduate student Cameron Pywell and research technician Roth Ross. The work was supported from grants from the National Institutes of Health National Institute of General Medical Sciences and National Institute on Alcohol Abuse and Alcoholism, the American Heart Association, the Veterans Association and the U.S. Department of Defense.